A midsize, midfat women's ski that sets the sky as the limit. Mid-width all mountain women's ski for easy edge transition & endless carving. Women's all mountain ski that performs everywhere from powder to piste to hardpack. Easy-carving skis with construction that can rip groomers & spray powder. Versatile women's all mountain ski built to patrol powder & unpredictable conditions. The reinforced Temptation 84 packaged with the Salomon Warden binding. Twin sister of the Enforcer capable of conquering all mountain conditions and terrain. High performance women's all mountain ski that opens a gateway to serious fun. 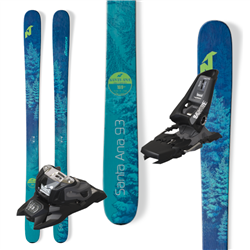 Skis with the expected quality of the Santa Ana collection with a wider 110 underfoot. Backbone of the Black Pearl line with women-specific technology and an 88 underfoot. 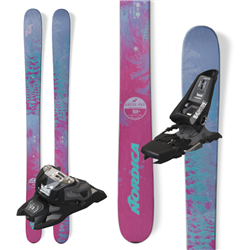 Women's ski capable of turning tempting downhill slopes into conquered terrain. 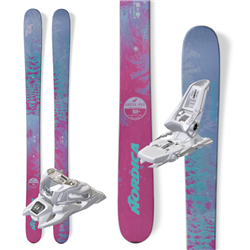 Women's all-mountain piste ski specifically designed to shred all types of powder.